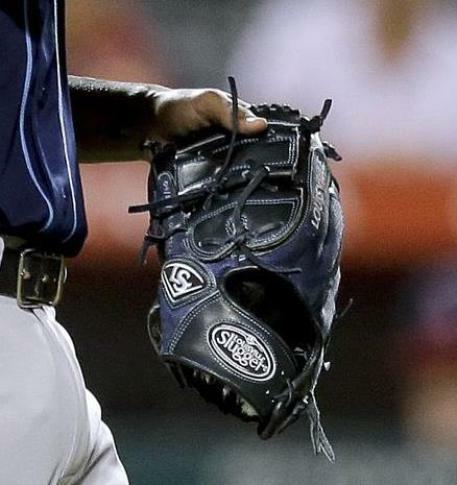 David Price switched over from Nike to a mesh Louisville Slugger glove. Price probably feels that the lighter Louisville helps him knock down balls hit back at him, the dangers of which he saw first hand when rotation-mate Alex Cobb got taken off on a stretcher this year. With only milliseconds to react to a come-backer, the mesh makes a lot of sense for Price and pitchers in general. Louisville Slugger’s online offerings do not include Price’s leather, but you can find similar gloves by searching the Pro Flare selection on eBay (the FL1200, FL1176 are the closest you can get).